The word is out and the buzz is strong, but before you start raising your eyebrow (or getting excited), let’s clear things up. 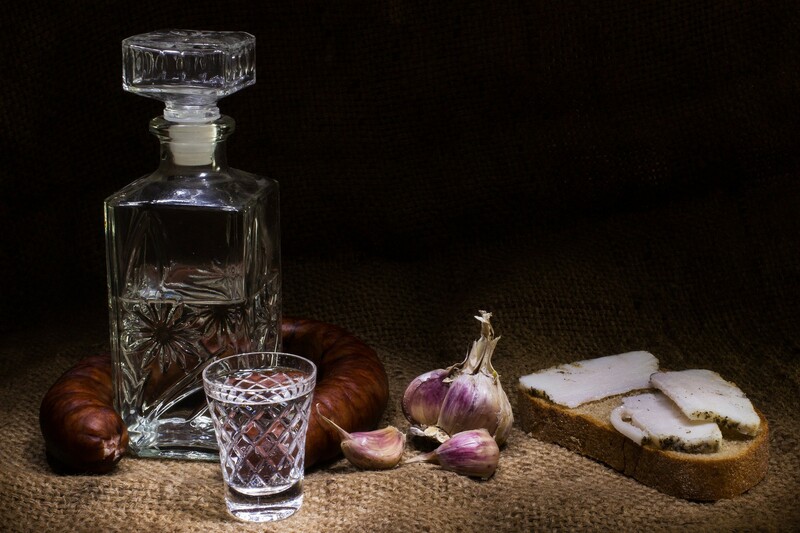 A ‘FuckUp Night’ is nothing close to an evening of debauchery or a flesh-fest, although it does stimulate certain senses that connect us with one of our most basic human emotions: the fear of failure. FuckUp Nights are public gatherings where the topic of failure, whether at a personal or professional level, is addressed in an open, honest, relaxed and fun way. A line-up of speakers coming from various walks of life stand up tall in front of an audience to share their failure stories. 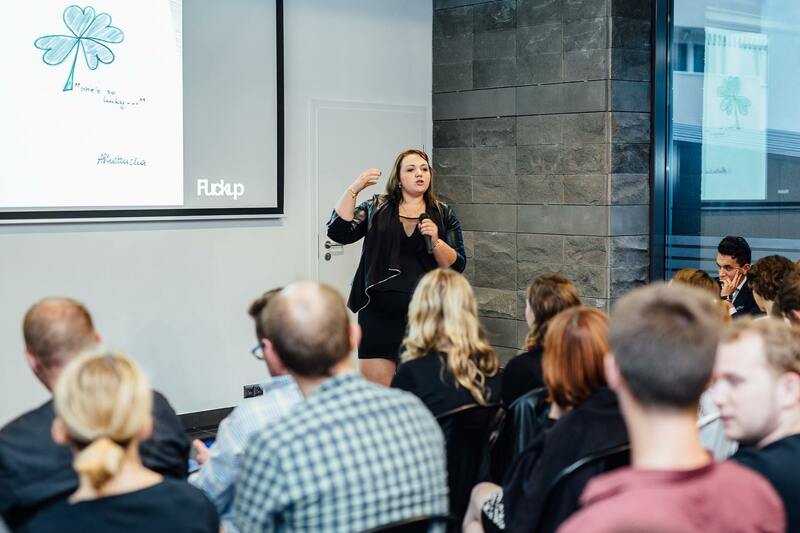 Last Thursday at Food & People was kick-off night in Kraków for a global initiative that originated in Mexico (2012) with a simple purpose: to publicly share business failure stories. The timing of FuckUp Nights’ establishment in Kraków seems appropriate given the city’s recent corporate & business boom, and the number of startups in the last few years should ensure no lack of names to pen down as potential speakers. The line-up for FuckUp Nights Kraków’s first edition included Angelika Skotnica (English language teacher & business owner), Jakub Mortka (business analyst at a bank) and Krzysztof Nowak (PR at Bitspiration). The presentations where an account of their personal struggles and shortcomings in various disciplines and projects, but it wasn’t hard to identify overarching ideas related to project management, business development and personal finances; as well as softer issues such as friendship, communication, time management and personal attitudes. All in all, it was the perfect mixture of stories and personalities to give substantial food for thought. Angelika shared her experience in opening a language school and the difficulties she faced in the process. Motivated by the idea of being her own boss and managing her own time, and possessing a lot of enthusiasm but almost no plan or grasp on the reality of things, she embarked together with a friend on what seemed to be a quixotic quest. Her first eye-opener was the exhausting and time-consuming world of Polish bureaucracy, followed by a harsher disappointment. Their attempts to obtain the license for an international language school franchise were null and had a grim fallout: depression, being broke and losing a friend. She learned that creativity and shrewdness are spurred when facing financial constraints and that no one is allowed to tell you what to do and how to do it. If you’re going to fail, then fail on your own, pick up the pieces, try to learn something and move on. She still hopes to patch things up with her friend. 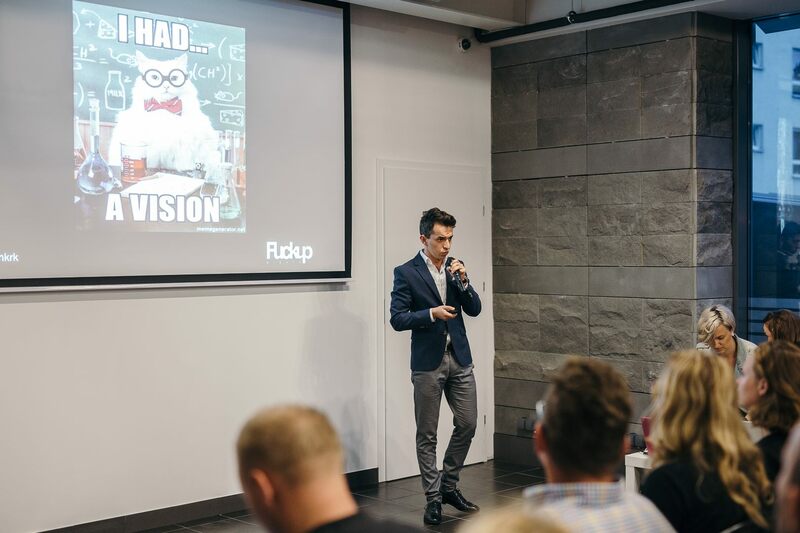 With an outgoing personality and pride in his corporate profile, Jakub told the audience his experience in the startup world. It started out with what he thought was a Eureka moment: the sudden realisation that you’re about to give the world just what it needs. Struggling to get an appointment at the hairdresser, he conceived an app that would search for available beauty enhancing businesses and allow users to make a reservation. The beginning of the end was when they found out about a competition where they could present their idea to investors. In a nutshell, they had their eyes on the money, focused on the pitch itself and lost vision of the actual product, its feasibility, its potential competitors and the market research. During their presentation to the investors they were riddled with questions they were unable to dodge, and their cockiness soon turn into embarrassment. What he learned: focus on your product, be diligent with your market research and be prepared. Remember (as one member of the audience pointed out in a cliched phrase): failing to prepare is to prepare to fail. 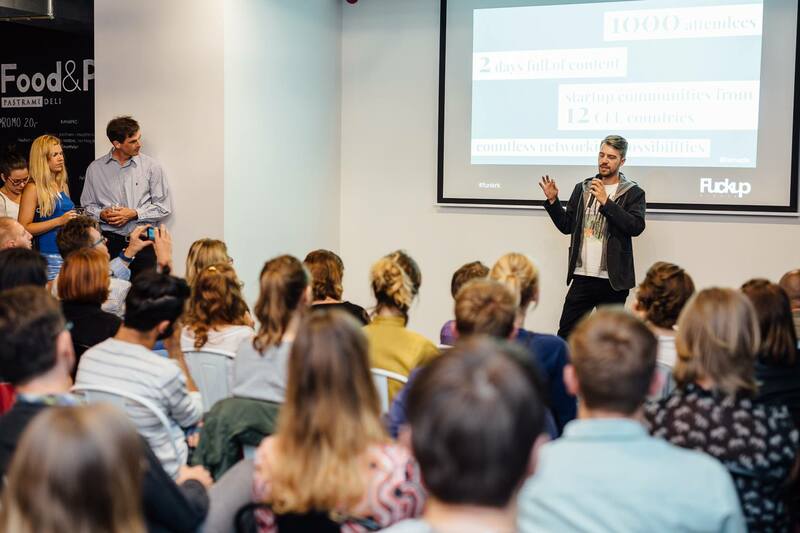 Finally, it was Krzysztof’s turn to tell how he and his team messed up big time in the organisation of a large-scale conference which aimed to bring together the startup community and investors. Technology can be very useful, but you need reliable people behind it. During the event, and as guests were arriving, the organising team realised that their emailing system had failed. Almost none of the participants had received a single email with practical information on the event. Despite having a quite useful massive emailing tool, no one cared to verify if the messages had been received. Everyone was “too busy” for that and they just “winged it.” This combined with a lack of engagement on the part of the organisers resulted in feelings of disappointment and even animosity among team members. He pointed out how certain decisions to reduce the scope of the project resulted in team members losing motivation and engagement, and ultimately in a poor and chaotically organised event. Not an easy thing to talk about. Everyone loves success stories, but we turn a blind eye on failure. We are either ashamed, afraid or too proud. Failure is an important topic and should be addressed accordingly and carefully. It can teach us humility and tenacity and its acceptance can allow immense personal and professional growth. Congratulations to Emilia & Ana, The Zen Volcano, for setting up this gig.